When it comes to accommodations, there’s a lot to be said for a place that’s comfortable on both you and your wallet. 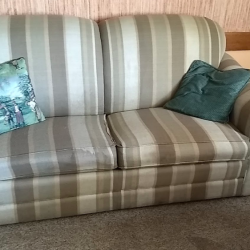 Consider All Seasons Motel, located in Bellaire, about 25 minutes from downtown Traverse City. The name pretty much says it all. The property is ideal for leisure and business travelers in all seasons. Owner, Susie, and her family offer clean, convenient lodging that’s close to everything the area has to offer. 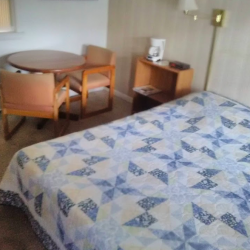 Whether you’re a diehard golfer, kayaker, cyclist, or simply enjoy touring the area, All Seasons Motel puts you right in the middle of it all. 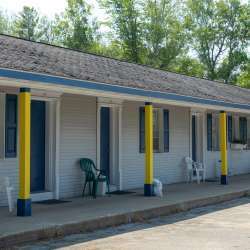 The motel has 17 rooms, with several featuring kitchenettes, each with a refrigerator, microwave, and sink. All rooms are at street level, offering easy in-and-out convenience. Here Mother Nature is right outside your door with deer, turkey, and other wildlife being familiar and friendly visitors. As an added bonus, Downtown Bellaire, with its boutique shops, restaurants, and popular brewpub (Short’s Brewing Company), is just down the road.